Whether you’re battling a cold or fighting to stay warm, this vegetable soup recipe will sure do the trick! 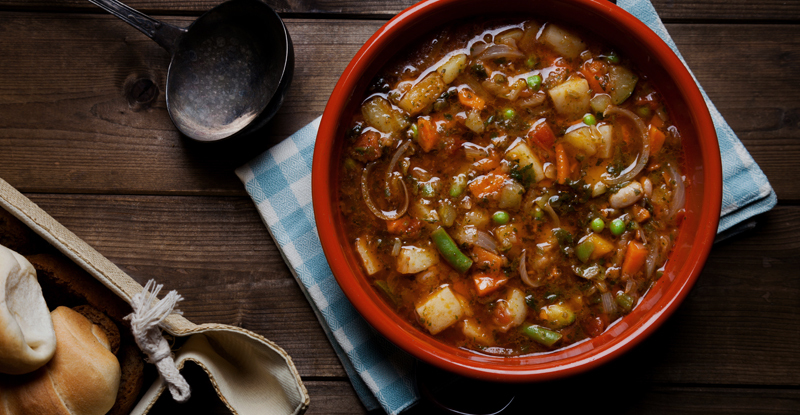 It’s easy to vary the ingredients in your vegetable soup, so change it up from time to time to explore new flavors. You can never have too many vegetables so be sure to add all your favorites! In a large pot combine broth, water, tomato juice, potatoes, carrots, diced tomatoes (undrained), green beans, corn, celery, and onion. Add Creole seasoning to taste. You can make vegetable soup year-round! Find your favorites that are in season at your local grocery store and farmers markets. Add some whole grains like barley to make it extra hearty and filling!